Most of us have seen or heard of Forge World. If you have, you’ve likely stared in disbelief at the prices of some of the miniatures they supply – even compared to Games Workshop – a notorious money snatcher – the prices are pretty high. But are we getting upset by the price for no reason? I’ve been gaming for years but I’ve never actually looked into Forge World before. I’ve heard many things, but as a scientist and forensic student, I would not be doing myself any favours without investigating the facts myself. I’ve been looking for a nice centerpiece miniature model for this new collection, which had to fit the theme of the faction and the type of army I was hoping to create. Since most of the troops I’ve selected are essentially ghosts and spirits animating some (very cool) looking suits of armour, some random space elf dude wasn’t going to live up to the aesthetic. 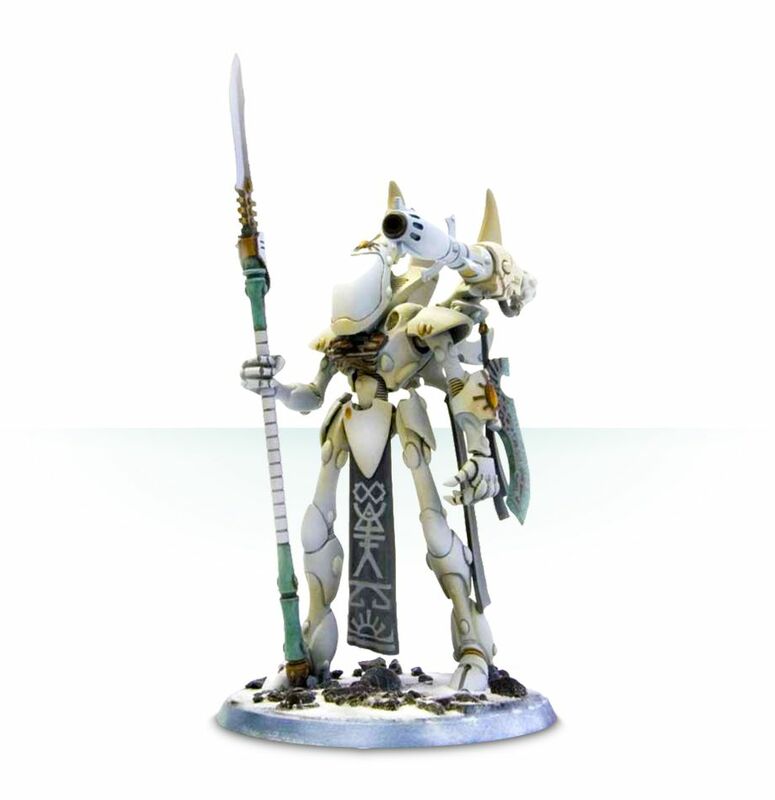 So I looked around – and stumbled upon a new miniature I haven’t seen before… the Wraithseer. But, oh no, you can’t buy this miniature from Games Workshop, no. You have to order it from Forge World. Hmm… there’s a risk there, I’m sure. So I’ve looked into Forge World and I placed an order. I started to put this centerpiece commander together. These are my experiences and conclusions about the quality and worthiness of models bought from Forge World. You’re gonna get some background on Forge World and I’ll throw in some images of how I went about the process of opening the box and putting it all together. Then I’m going to tell you if I think Forge World are worth it. Who the hell are Forge world? Forge World are a supplier of specialists model miniatures and conversion kits as well as specialist games. They generally use a type of resin for their products which is different from normal plastic. You’ll find they make all sorts of wondrous miniatures. And to be perfectly clear, they are Games Workshop through and through. Same company. Same HQ. Same offices and same website design. Games Workshop are a UK miniature war-gaming manufacturer. They are best known for their tabletop war-games such as; Warhammer Age of Sigmar (Fantasy Battle), Warhammer 40,000 and The Middle Earth Strategy Battle Game. There’s a tonne of controversy with Games workshop and its various branch-off businesses, mainly; the pricing of their products, the way in which their new products are generally more powerful than the current stuff and the way in which they imply everything for Games Workshop has to be gold plated to be used. But despite all this, they generally do make some really good miniatures, to a good standard of quality. But if you ask the internet, they hate their customer base. I’m sitting on the fence of absolutes here – I enjoy the stuff they create, but I kind of agree that they are generally over priced. Since May I’ve been an adult and started collecting miniatures from Games Workshop to play one of their main game lines, Warhammer 40K. Since childhood I enjoyed the setting and themes of GW’s universe, but I never really understood the concepts of some of the factions (armies) that are available for play. So, since I’ve had a little more free time in the evenings I started to collect miniatures for a faction known as the Aeldari (formerly, the Eldar). Think space-elves are you’re pretty much there. These guys captured my imagination from an early age and it’s taken me over two decades to start collecting them. This is what I purchased, the Wraithseer, a variant of the Wraithlord. You essentially get a normal product with extra components to create the specialist unit. Since the Wraithseer is a Wraith Lord, you get all the parts for the Wraith Lord, with some extra bits to make the model into the Wraithseer. 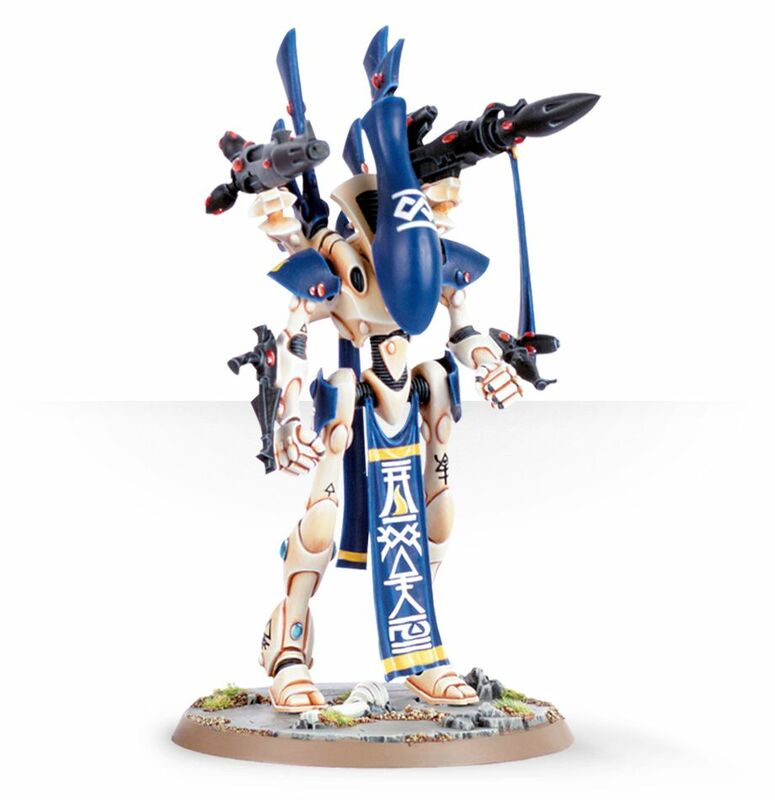 GW’s Wraithlord = £28, FW’s Wraithseer = £41. I’m spending £13 on some extra bits. Is that too pricey? Well, we’ll look at the quality later and draw some conclusions. The extra components are a different quality resin, lighter grey and more pliable. In the past, this resin was labelled as ‘Fine cast’ which suggested that the detailing on each model was of superior quality. It turns out, that wasn’t the case, so they ditched that marketing and decided to refer to the new range of products as simply, resin. Edit (17/2/19, 17:30 GMT) – The above stricken text was later found to be incorrect. There is supposedly no link between Fine Cast and Forge World. However, this does not mean that GW dropped Finecast completely, as I’m sure there was overlap at some point between the manufacture. I’m open for more comments on this, so feel free to educate me! Was anything bent out of shape or wildly irregular that it will not work? No, apart from a slightly wavy long narrow spear shaft, this model seems fine. What did I have to do that was different to preparing a regular plastic miniature? There’s a lot more flash (excessive build up of plastic / resin which you don’t normally get from the regular plastic kits) that needs cleaning and cutting away. If, like me, you’re haven’t done this sort of thing for years, you’ll really need to take your time and go slow. Look at, and think about, what you’re going to cut and how you’re going to cut it – these kits are expensive and you don’t want to mess it up! They’re also much softer, so any cutting risks cutting too deep! Resin kits need super glue to bond efficiently too, and they bond fast! The Resin components: How does it look and feel, is the detail any better? Hmm… yes I think it is. Some of that detail may be lost in the excess resin flash though. It certainly seems crisper in some places, but on areas of the blades, such as this cool looking spear, I had to re-carve the back of the blade so it looked less like a portion of cheese left to rot in Nurgle’s undercarriage. And check out some of those random bubble holes still! It glues and sticks fast. Really handy when you’re relying on your heartbeat to not force your fingers to break the delicate bonds using a more brittle and fragile plastic. It is more pliable. It feels smooth and clean, but there is a bubbling effect in areas which will require more modelling to fill in the gaps. More time required, I guess! How hard was the model kit to assemble? Actually, not too hard at all compared to the regular wraith lord (of which, I’ve made three since May). Some of the components are very small and fiddly but if you plan the assembly properly, you shouldn’t have any problems at all! Am I happy with the product? Yeah, I think I am, but let’s discuss some final thoughts. I did realise later on however that the bases provided for the Wraithlords are scenic, they have nice detail touches like cracked earth and debris. There is no such base for the more expensive Wraithseer. What’s that all about? Well, it’s either money, or laziness on the part of GW’s package planning. Final Thoughts: Is Forge world worth it? If like me, you’re a regular war-gamer with limited funds, then I suspect Forge world products are not for you – simply put, you don’t need them to enjoy the tabletop war games produced by Games workshop. If your sole attraction to miniatures is to assemble, convert and paint models, then actually yeah, I think it’s for you – I suspect you’ll buy one-off miniatures, paint them to a really high standard and marvel at them in a highly polished glass case. Or sell them on Ebay for a little bit of extra money. Forge World is not for kids. They’re out-priced for a start – unless you have wealthy middle class parents, but also because they’re not recommended for anyone under the age of 15. Why? Well they’re fiddly, require you to use sharp points and blades… and apparently the resin is toxic as a dust. Perhaps most teenagers probably won’t know how to assemble the over priced miniature too – there’s no instructions provided! Edit (14/2/19, 21:00 GMT) – Many of you have praised the customer services of Forge World. Apparently they are more than happy to offer replacement parts should your model not be usable, or even if any of its components are not usable. So much so, no one I’ve spoken can fault them for it. Seems they actually care! And finally – you can’t buy the rules for these models or download them separately like you can for some products on the GW website. No, you need to buy a separate book for about £15. HOWEVER – I have recently discovered a very cool app called BattleScribe. BattleScribe is a free army builder app for Warhammer 40,000. It contains everything, which means you don’t need to have any of the books for any of the Warhammer 40K factions and this app even lets you download your selected army as an easy-print PDF with ALL the rules associated with the models and the choices you made for the army. So there you go – it is unlikely I’ll be buying anything else from Forge World in the near future (unless I come into a large amount of prize money for something). But if you’re a collector of interesting miniatures or if you like a challenge, then its good for you. I’d like to hear your views and opinions on Forge World and their product line, so feel free to add a comment or message us. You can join our slowly building mailing list here.